Royal Dutch Shell Plc should be barred from drilling in the Beaufort and Chukchi seas because its oil-spill plans are inadequate, Greenpeace Inc. and other environmental groups said in a lawsuit. The approvals for Shell’s response plans should be thrown out, and offshore oil and gas activity blocked, until the Interior Department complies with the law, the groups said in a complaint filed today in federal court in Alaska. The filing couldn’t be confirmed in electronic court records. 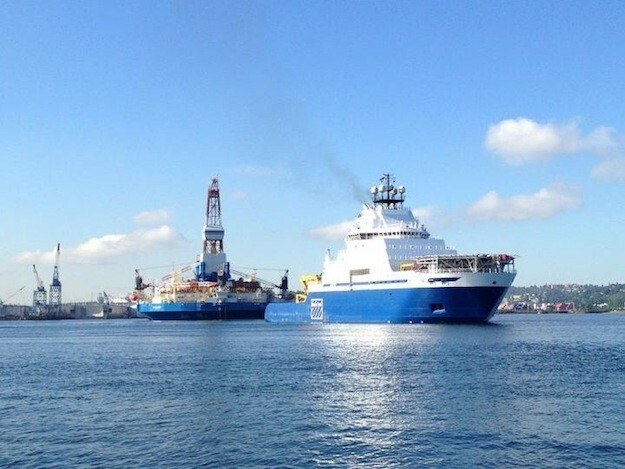 Shell’s drilling off Alaska’s north coast will be delayed until August as the company waits for ice to clear and modifies a spill-response vessel to meet U.S. Coast Guard requirements, the company said in July.